Saturday April 16th 2016 will be a day that will never be forgotten. 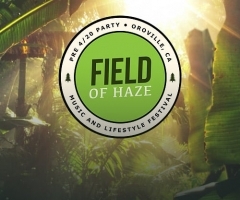 The pre-420 party held at the Field of Dreams ranch in the city of Oroville, California brought swarms of people to bare witness to the beginnings of 2016’s festival season. 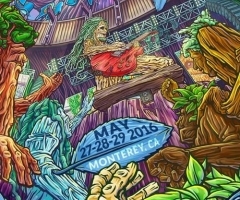 Billed as Northern California’s official 420 pre-party, 13 great acts combined powers to bring in an amazing crowd and provide one incredible night of entertainment and good vibes. 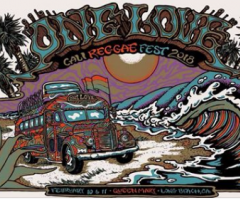 The Field of Haze festival is the brain child of veteran festival producer Jeff Monser founder of famed California Roots Festival. One of the greatest things about the Field of Haze festival was the many special places to unwind and relax while within a stone’s throw distance of the stage—the centerpiece of the event. Blankets and lawn chairs were spread far and wide with local food and art vendors providing in-between set entertainments, refreshments and great food.